Menaquinone, or vitamin K-2, is the key to good bone health. Vitamin K-2 improves your health by preventing both bone loss and plaque buildup in your arteries. Menaquinone-7 or the MK-7 form of vitamin K-2 is best. Vitamin K, much like vitamin E, is a collective term for a large group of many different related molecules or subtypes. Vitamin K is a fat-soluble vitamin occurring in two main biologically active forms: K1 (phylloquinone, vegetarian form) and K2 (menaquinone, animal form). Vitamin K helps regulate calcium balance, or puts the calcium from supplements where people want it to go (i.e., in their bones and teeth rather than in soft tissue or arterial calcification). Some people are claiming that vitamin K-2 accounts for the French paradox rather than resveratrol because of a link to grass fed chickens and cows. Vitamin K-2 has a very strong potential for becoming the next vitamin D with a major global impact upon your health because supplementing with high levels of D, increases your requirements for K-2 in order to activate key proteins that help prevent cancer as well as soft-tissue calcification. 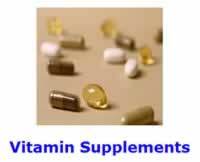 Vitamin K-2 is what makes high dosages of vitamin D safe. Supplementing with excess amounts of calcium, without simultaneously getting adequate amounts of vitamin K-2, menaquinone, in your nutrition is harmful. Remember our call for moderation, where less is often more. The unfortunate result of this calcium paradox is death from atherosclerosis or hardening of the arteries. Vitamin K-2 solves the final piece of the osteoporosis, or bone loss, prevention puzzle. Furthermore, adequate supplementation with vitamin K-2 can simultaneously prevent atherosclerosis, arterial calcification, plaque buildup in arteries, or hardening of the arteries. The result of the long-term development of plaque buildup are heart attacks and strokes. First, including leafy green vegetables (i.e., "greens") in your diet will result in good K-1 (phylloquinone) nutrition. Some soft tissues in your body have a remarkable capacity to convert up to 90% of the available K1 into K-2, or more precisely Menaquinone-4 (MK4). Nevertheless, be warned, that taking prescription antibiotics can reduce vitamin K-1 production in the gut, the seat of your immune system, by nearly three-quarters. The number one direct food source of K-2 is fermented Japanese soybean Natto. However, being able to stomach Natto is an acquired taste. Next, in menaquinone content would come from consuming homemade fermented vegetables that were made from a starter culture of vitamin K2-producing bacteria (i.e., Bacillus subtilis). Adequate dairy sources would include Brie and Gouda cheese. It is more important that cheese food sources were produced from the correct bacteria starter cultures, than from free-ranged cows. Finally, consume food products made from grass grazed farm animals, such as egg yolks, butter, and other dairy products. Of course, organic health food sources of K-2 should be preferred, since they will provide the additional health benefit of containing live K-2 producing bacteria. Supplementing with Vitamin K-2 gets complicated. Vitamin K2 (menaquinone) includes two main subtypes: menaquinone-4 (MK4) and menaquinone-7 (MK7). Menaquinone-4 is synthesized by animals. While menaquinone-7 is synthesized only by bacteria during fermentation. In conclusion: the position of the Natural Health Perspective is that everyone should be supplementing daily with 200 mcg of vitamin K-2 in the form of MK-7. There are no known toxic levels for the oil-soluble Vitamin K-2. Thus, there should be little concern over including even more in your nutrition. Supplementation overtime will eventually correct any vitamin K-2 insufficiency problems while you are working on improving your diet. Undifferentiated vitamin K-2 supplement products will contain a mixture of different menaquinones, which is usually mostly menaquinone-4. Supplementing with menaquinone-7 (MK-7) supplements would the preferred choice. MK-7 supplements cost more, but are reported to hang around longer in your body. In the opinion of the Natural Health Perspective, MK-4 supplements are virtually worthless. MK-4 from supplements will hang around in your body for no more than 48 hours. [Sato 2012] Furthermore, MK-4 supplements are synthetic and may not be nearly as effective as the MK-4 contained in grass fed livestock. Maintaining strong bones throughout your lifetime requires avoiding nutritional insufficiencies of both vitamins D-3 and K-2 and the minerals calcium and magnesium in your nutrition; along with adequate amounts of load bearing exercise. This article was originally published on 11/25/2012. J Agric Food Chem. 2006 Jan 25;54(2):463-7. A safe strategy for addition of vitamins and minerals to foods. Eur J Nutr. 2006 Mar;45(3):123-35. Epub 2005 Oct 12. Review. Sato T, Schurgers LJ, Uenishi K.